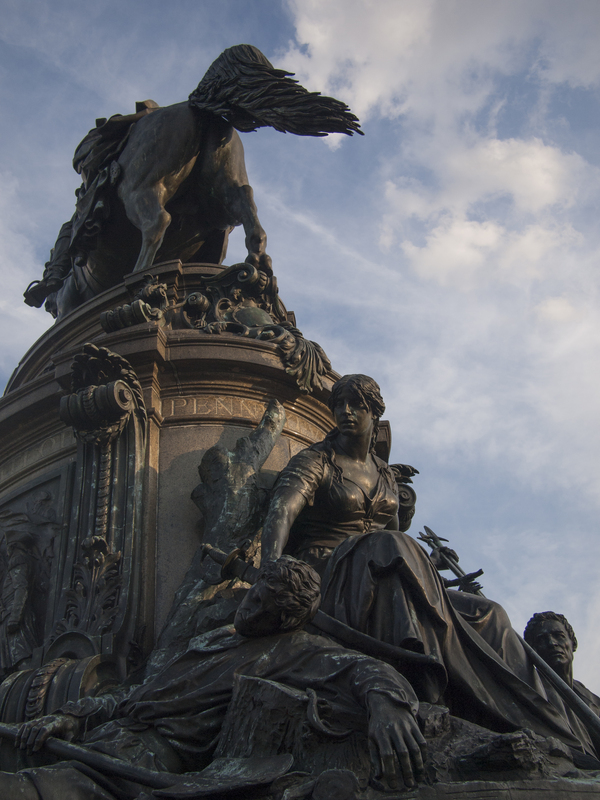 This allegorical figure is forever threatened by the raised tail of the horse at the top of the Washington Monument at Eakins Oval, 16 August 2014. 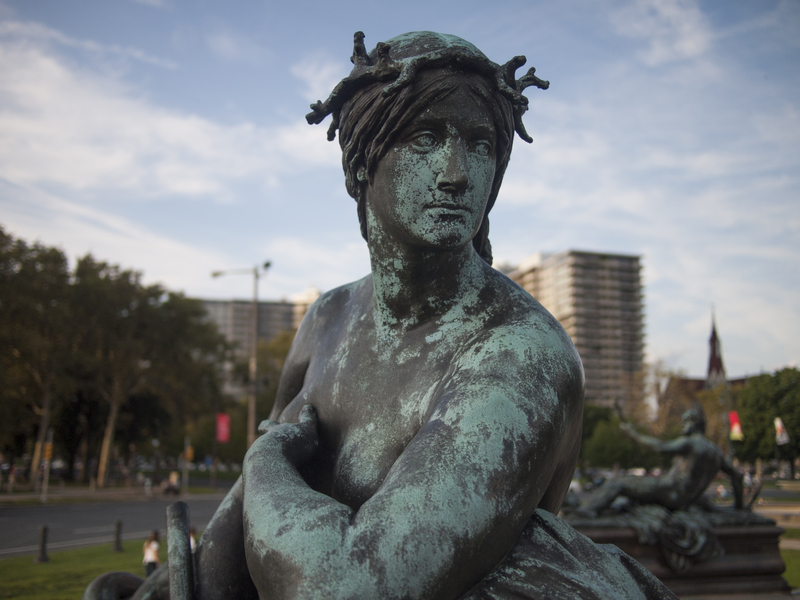 False modesty on the Parkway, 16 August 2014. 11 Nov	This entry was published on November 11, 2014 at 7:03 am. It’s filed under Fairmount/Art Museum and tagged Benjamin Franklin Parkway. Bookmark the permalink. Follow any comments here with the RSS feed for this post.